One of the major firms behind a handful of the ongoing climate lawsuits brought by governments against energy companies proactively pitched the idea to the city of San Francisco, according to emails obtained by the Washington Free Beacon via open records laws. According to two former Republican attorneys general, the revelations highlight an entrepreneurial relationship that they say illustrates a concerning trend of contingency litigation which could expand government's prosecutorial powers. These lawsuits originated in July of 2017 with smaller governments in California, such as the City of Imperial Beach and San Mateo County, and have sought to use public nuisance laws to force the major oil producers like Exxon and BP to create remediation funds that would defray the government's costs for damages associated with climate change. 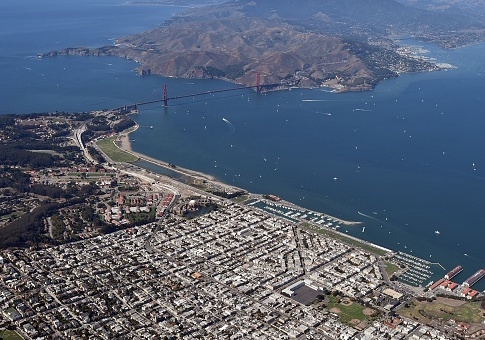 The lawsuits gained more traction and attention when the bay-area cities of San Francisco and Oakland announced their own actions against the energy producers two months later. Although the law firm Hagens Berman Sobol Shapiro LLP (referred to as Hagens Berman) would eventually handle representation for the San Francisco lawsuit, emails from July of 2017 show an attorney from the firm Sher Edling making the pitch to take the issue to court. "Tyrone—nice to electronically meet you," wrote named partner Matt Edling to the City of San Francisco's senior advisor on the environment, Tyrone Jue. "The links below describe the lawsuits we recently filed on behalf of Marin and San Mateo County as well as the city of Imperial Beach. My partner, Vic Sher and I would love to chat with you about the cases and the work we are doing," Edling wrote. Jue emailed back two days later. "Thanks for your work and for reaching out to us," Jue replied. "I'm wondering if you might have time to chat later today or maybe on Monday about this." About two weeks after the initial emails, Edling emailed Jue again, touting a story in the New York Times that highlighted the San Mateo and Imperial Beach lawsuits. "Thought you might appreciate this—our case in today's NY Times," Edling wrote. The Times story quoted Edling's aforementioned partner, Victor Sher, saying, "Filing these cases has led to a lot of interest in other communities," although the emails uncovered by the Free Beacon suggest the cases created a springboard the attorneys could use to approach other governments. Neither Sher Edling attorneys nor officials with the San Francisco mayor’s office responded to requests for comment. All of the climate lawsuits filed are contingency fee cases, meaning the government attorneys technically are supervising the work of the attorneys from Hagens Berman or Sher Edling. However, the private attorneys in those firms are responsible for the bulk of the work, and they only get paid if they are successful in winning a judgment against the energy companies. Forbes reported that in Oakland's case, Hagens Berman stands to harvest 23.5 percent of any net "recovery." Sher Edling, meanwhile, is handling contingency fee cases in Rhode Island, Baltimore, and the California governments already mentioned. Dan Lungren, a former California attorney general, says because the governments are still putting their imprimatur on the lawsuit, it brings extra weight and importance to which the public should give serious consideration. "One of the big arguments for contingency fee practices in the United States as opposed to, for instance, England, is that this basically levels the playing field," Lungren told the Free Beacon. "That is, poor people, who could not otherwise afford lawyers, are able to get into court because the contingency fee contract system works. I don't think that applies when you're talking about public entities." "As someone who believes in small government—reasonably small government—I think this is an expansion of government with a reach that is not often looked at," he added, while emphasizing that his words only represented his own views, and shouldn't be construed to represent the views of any associate or client of his. Three smaller governments in Colorado are also suing energy producers with complaints that closely mirror those from California, a move which was assigned significant import by the New York Times. "Until recently, communities suing fossil fuel companies over the costs of climate change have been located on the coasts: cities and counties in California, and New York City," the Times reported in April of this year. "But now, the litigation has jumped inland." Former Interior Secretary Gale Norton, who prior to serving in the George W. Bush administration had also been attorney general in Colorado, echoed Lungren’s comments. "I saw firsthand as an Attorney General involved in the national tobacco litigation and settlement in the 1990's that contingent fee arrangements can get out of hand," Norton told the Free Beacon in an email. "Public-agency litigation should be about seeking justice and representing the public interest. When contingent fee attorneys are controlling the litigation, they often put their individual interests ahead of the public interest. They seek large damages, so they can collect a large percentage for themselves." "Climate change is a complex issue that requires thoughtful public policy. A patchwork of lawsuits pushed by profit-seeking law firms is not the best tool for formulating national policy," she concluded. Thus far, the courts appear to agree. Federal Judge William Alsup dismissed dismissed the San Francisco and Oakland cases in June, saying, "the problem deserves a solution on a more vast scale than can be supplied by a district judge or jury in a public nuisance case." The cities are currently appealing Alsup's decision. "I want to make it clear, I'm not against contingency fee practice in the private sector," Lungren added later in his conversation with the Free Beacon. "It can be abused, but it has achieved access to the courtroom by those who otherwise wouldn't have it. I don't find that to be the case with municipalities or the State of California. No one needs to tell them where the courtrooms are. They have found them by themselves since the state was created." This entry was posted in Issues and tagged California, Climate Change, Exxon. Bookmark the permalink.